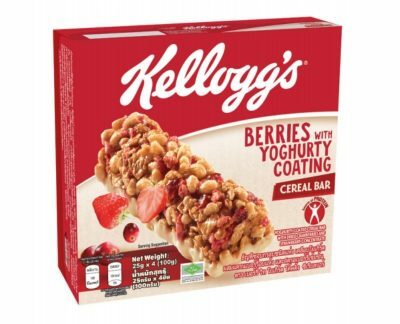 Berries with Yoghurty Coating (25g) and Nutty Choc (30g) are made by Kellogg (Thailand) Ltd in Rayong and are imported and distributed by Centurion Marketing Pte in Singapore, Delfi Marketing Sdn Bhd in Malaysia and Monde Nissin Corp in the Philippines. Berries with Yoghurty Coating has 104kcal and is known to be a source of protein. The cereal bar is available in a single bar at 7-Eleven Malaysia (RM 2.50) or multiple pack in the supermarket (RM 11.99). 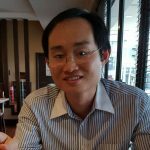 The snack bar range of Kellogg’s Malaysia has evolved from focusing on children (Frosties Cereal Bar, Coco Cereal Bar and Coco Rainbow) and female (Special K Cereal Bar) to adults through the new variants. 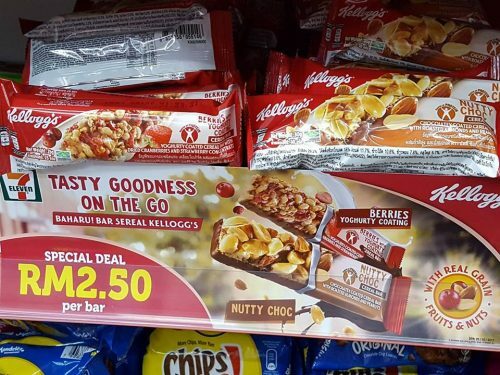 In the grab-and-go 7-Eleven convenience store channel, there are now more choices of snack bars including Fitbar (RM 2.90), Nature Valley, Kellogg’s Frosties/Coco cereal bar (RM 2.40) and Kellogg’s Nutty Choc and Berries with Yoghurty Coating (RM 2.50).